A uniquely beautiful gift of love and remembrance. 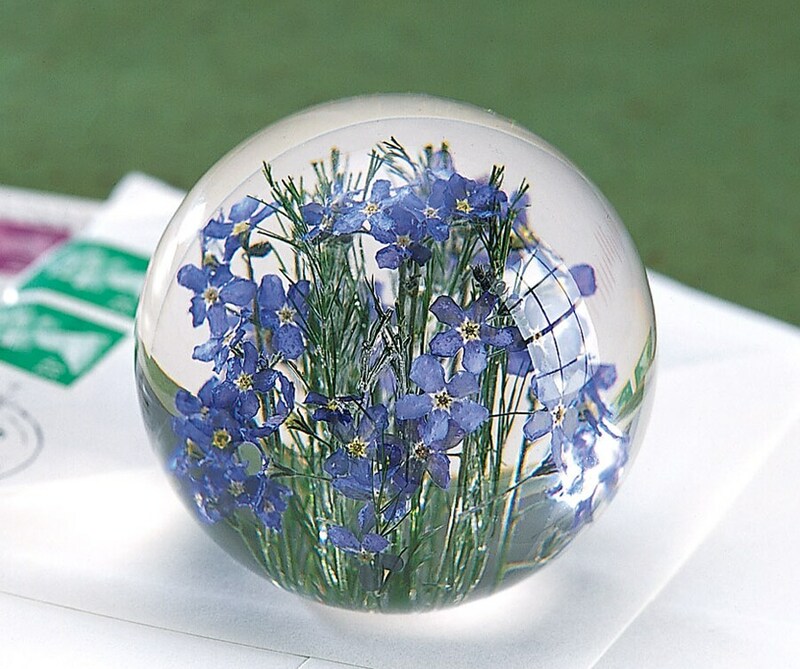 Hand-picked forget-me-nots are carefully dried using techniques that preserve their deep color, then suspended in a globe of clear, highly polished resin that preserves their smallest, most delicate detail. 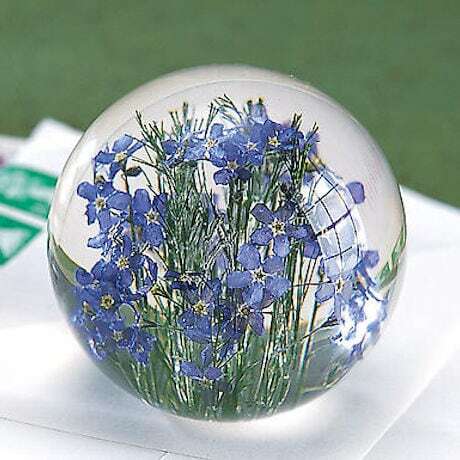 The flowers are collected in Margam Forest in South Wales, and the paperweights are produced in a 14th-century barn at Hafod Grange, once used by the Cistercian monks of the now ruined Margam Abbey. 2 1/2" diameter. EXCLUSIVE.